Omega-3 and omega-6 are terms that seem to be thrown around constantly in health magazines and websites these days. You might be wondering what they mean to you, and what you need to know in order to ensure that your intake of these substances will give you the health benefits you desire. What is the difference between the two? Are they both good for you? Read on to find out. Omega-3 and omega-6 are both essential fatty acids. This means that our bodies cannot manufacture these “good fats” on our own, and we must obtain them from out diet. This is where omega-3 and omega-6 differ from each other: they are both polyunsaturated fatty acids, however, they have differing chemical structures. There are few dietary sources of omega-3 fatty acids, and they are obtained mainly from fish such as salmon, herring, bluefin tuna, and black cod. There are two types of omega-3 fatty acids that are absolutely critical to the body’s hormonal manufacturing process. These are two acids that I’ll refer to by their shortened names, EPA and DHA. If you are vegetarian, you must obtain these essential fatty acids from flaxseed and walnuts, which contain a precursor substance, also a fatty acid, that your body can convert to EPA and DHA. So what makes these fatty acids so important? They function as the essential building blocks of the hormones that your body uses to control blood clotting, cell growth, and proper immune function. Now, for the omega-6 fatty acids. Sources of these substances are a lot easier to find in modern diets. These fatty acids are present in seeds and nuts, and therefore the oils that are derived from them. Since an astonishing 20% of the calories in the average American diet is estimated to come from soybean oil, which is high in omega-6, most Americans have an adequate dietary supply of this fatty acid. The body also uses omega-6 fatty acids to synthesize hormones. It might interest you to know that the hormones that the body constructs from omega-6 fatty acids generally have the opposite effect to those that the omega-3 fatty acids contribute to. The hormones that omega-6 fatty acids are essential in constructing contribute to inflammation, which is an important component of the body’s immune system. They also help the blood to clot. As you can see, an adequate balance of both of these groups of hormones is needed to maintain optimal health. A lot of nutrition experts believe that when human diets were simpler and we relied less on heavily processed foods, there were equal amounts of omega-3 and omega-6 in our diets. Unfortunately, we now get far too much of the omega-6 fatty acids and not enough omega-3 fatty acids in our diets. Some believe that this imbalance can be used to explain the rise of diseases such as asthma and neurological diseases, and also many forms of cancer. These diseases are connected to inflammation in the body. 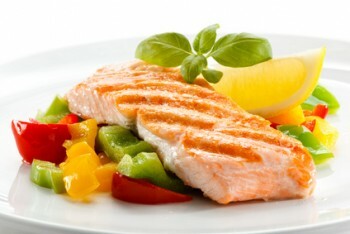 An imbalance between the intake of these two fatty acids may also contribute to obesity, depression, and hyperactivity. So try to eat more oily fish and cut down on the foods that contain soybean oil.